Bellona.org > Latest News > Transport > Electric mobility > Rectifying the EU’s emission testing regime: Where are we now? 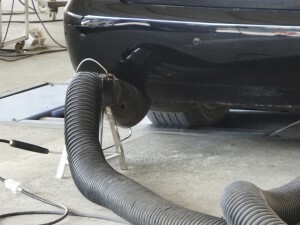 Following revelations about the commonplace nature of emission test manipulations across the entire car maker industry, the European Commission was put on the spot to accelerate the adoption of measures needed to rectify loopholes in the currently in use ‘New European Driving Cycle’ (NEDC). The Commission’s proposed solution – the Real Driving Emission (RDE) test envisaged mandating the use of portable emission measurement devices on board vehicles as a means to address the limitations associated with the ‘laboratory-based’ NEDC test. Following negotiations with Member States, however, we’ve seen the proposal’s level of ambition substantially lowered. “The Commission’s newly proposed emission testing rules are a step in the right direction. While not suggesting the establishment of an EU-wide type approving authority, along the lines of the US EPA, the proposal calls for a significant expansion of EU powers in ensuring the independence and adequacy of testing authorities in EU Member States. It is inevitable that we can expect resistance from Member States who will fight against surrendering sovereignty to Brussels, but leaving the emission testing scandal unrectified risks undermining the Commission’s credibility and the effectiveness of the European common market” reacts Jonas Helseth, Director at Bellona Europa, to today’s release of the Commission’s proposed rules for a new vehicle testing regime. In order to strengthen the independence of Member States’ type approving authorities, the Commission’s proposal calls for dis-allowing car makers from being able to pay directly to centers responsible for the performance of emission tests, and for the establishment of stringent criteria to be met while the tests are carried out. The proposal also calls for an expansion of EU powers in terms of granting the European Commission the right to carry out ex-post verification testing. The Volkswagen-instigated emission testing scandal brought attention to the ever increasing mismatch between reported and on-road emissions, and the economic, environmental and most of all human health-repercussions these have entailed. This in turn resulted in intensified pressure from civil society groups for the European Commission to put in place an adequate emission testing regime, which allows for no exemptions from or non-compliance with EU air pollution rules, and delivers data representative of on-road emissions. The Commission’s initial proposal, the RDE, envisaged addressing the shortcomings of the NEDC by ensuring greater independence of type approving authorities in the EU, as well as delegating powers to the Commission itself to verify that vehicles on the market comply with emission performance standards and enforce penalties if that is not the case. 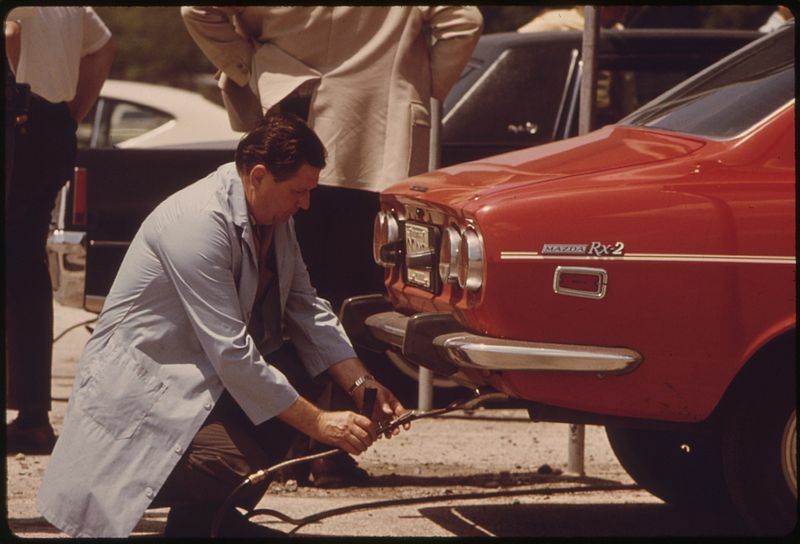 To move away from the unrealistic conditions in lab environments, the RDE would feature equipping vehicles with portable emission measuring devices. While evidence has kept piling to confirm the prevalence of fraudulent practices across the industry as well as the alarming implications in terms of human health, a rapid and satisfactory solution from the Commission has been constrained by Member States as well as pressure from the car industry itself. “The Commission’s initial proposal on the RDE test appears to have fallen prey to the influence of the car maker lobby and Member States” says Bellona policy advisor Teodora Serafimova. Member States’ watered-down proposal calls for so-called ‘compliance factors’ which would create major loopholes in the system enabling car makers to produce and sell cars exceeding EU legal limits for NOx pollutants permanently and by a significant factor. In fact, it is believed that such tolerance towards non-compliance would threaten raising diesel car emission limits for NOx by up to 110% when the RDE test procedure is introduced. Will the European Parliament prevent this ‘tolerance to non-compliance’? In December last year, the European Parliament’s Environment Committee (ENVI) rejected this proposal, arguing that tolerance towards non-compliance with limits would undermine enforcement of existing EU standards. Whether the proposal will be rejected, and the Commission sent back to come up with a new proposal, is to be determined at the Parliament’s plenary vote, postponed from January to next week’s plenary session in Strasbourg (1-4 February 2016). While Bellona is hopeful that the Parliament’s plenary vote will result in the proposal’s rejection and hopefully its replacement with a more robust regime, the Commission has expressed concerns that vetoing the RDE as it stands would only act to prolong the existing ‘unsatisfactory’ car testing regime. Counterarguments to rejecting the current proposal have also been voiced from the car industry who claims they need urgent clarity in order to start planning and developing necessary design of their vehicles to ensure compliance with EU standards. “It is unacceptable to compromise human health. There can be no tolerance when it comes to non-compliance with air pollution standards” comments Helseth, in response to the compliance factors allowed for in the proposal. Shortly after the ENVI rejection of the proposal, a parliamentary inquiry committee, also called the Emission Measurements in the Automotive Sector (EMIS), was set up with the task of investigating the car emissions scandal. The committee is scheduled to begin its work next month which and continue for the next year, holding hearings with key representatives from the EC and national authorities. It will investigate the regulatory breakdown in the EU, both as regards the illegal manipulation of pollutant emissions tests for cars and the failure to ensure the pollutant limits for cars, set out in EU law, were implemented. (See here for the full list of MEPs comprising the committee). Bellona will be closely monitoring upcoming developments in order to ensure an adequate solution to the flaws of the NEDC. Our views and recommendations for the future emission testing regime read our brief The Emission Testing Gap – Why business as usual for the conventional car industry cannot continue.